Dina Lohan is in hospital after being admitted with stomach pains and neck and back aches but doctors don't know what's wrong with her. Dina Lohan has been hospitalised with a mystery illness. 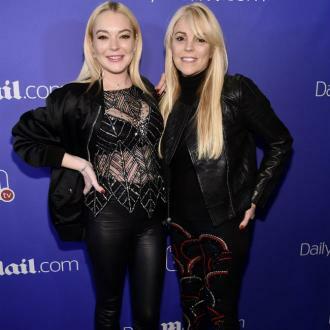 The 53-year-old mother of actress Lindsay Lohan was admitted to hospital last week after suffering stomach pains and neck and back aches and doctors are trying to figure out what is causing her ailments. A family source sent a picture of Dina in her hospital bed to TMZ and revealed she has ''had several MRIs and CAT scans, but doctors are still baffled and Dina's spent the last six nights in the hospital''. While Dina is in ''decent spirits'', she is upset that she will miss Lindsay's 30th birthday party in Greece over the weekend. The 'Mean Girls' actress will turn 30 on Saturday (02.07.16) and her fiancé, Russian heir Egor Tarabasov, 22, wants to spoil her with a lavish party on the island of Mykonos, which he has invited her family and closest friends to. It is believed that Egor - who works as a real-estate agent - proposed to Lindsay in April after a whirlwind romance and while Lindsay has not yet confirmed the engagement, she insisted she is ''really happy'' with him. She said earlier this year: ''I haven't known Egor for that long. We've been together for about seven months. Lindsay's father Michael Lohan has praised Egor as a ''great influence'' who wants to help his daughter get her career back on track. Michael, 56, added that Egor has his complete blessing to date his daughter - whose last film role was in 'The Canyons' in 2013.